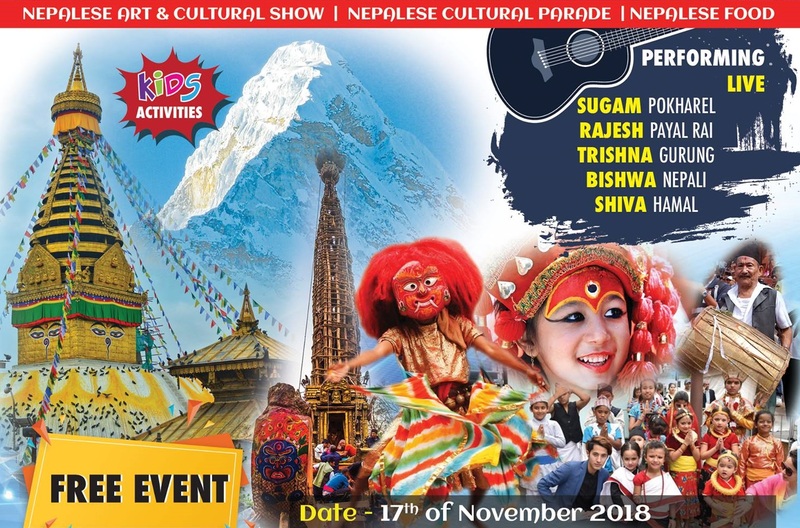 NRNA Australia have announce that they are organising Mega Event Nepal Festival 2018 (Brisbane on Saturday 17th of November 2018, Sydney on Saturday 24th of November 2018 & Melbourne on Saturday 15th of December 2018) in association with Embassy of Nepal Canberra, Nepal Tourism board and in conjunction with consulate General of New South Wales & Victoria and Nepalese community organisations. Nepal Festival, a brand of NRNA Australia, in association with Embassy of Nepal Canberra being organized in Brisbane. During Nepal Festival 2016 in Australia, NRNA and its members were engaged in promoting Nepal and Nepalese Culture in the major states of Australia by organizing Nepali cultural programs, by practicing and maintaining Nepali tradition, by establishing Nepal House in partnership with NEPAL TOURISM BOARD (NTB) where Nepali tradition, tourism and cultural heritage and diversity are displayed. Various Nepali cuisine and products being displaced for purchasing will put an effort to keep alive the Nepali heritage amongst us and multicultural nationalities who will be attending the festival and attract the attention and interest of the natives of these countries for Nepal promotion such as Tourism. This program intends to bring all south Asian community in Brisbane for one day and celebrate multiculturalism in Australia. It promotes harmony among community. Nepalese Cultural Parade is being organized as a Part of Nepal Festival Queensland 2018 with an aim of showcasing rich Nepalese culture and tradition. We plan to have a numbered of ethnic and traditional costumes displayed and traditional dances performed during the parade on the same day of Nepal Festival at 10 am. The event provides a rare opportunity to fulfill the responsibility of promoting our culture and hence the rich heritage of our motherland.